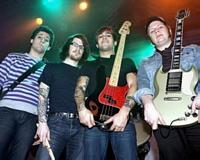 They are not an emo band, though their lyrics are strong on emotions. 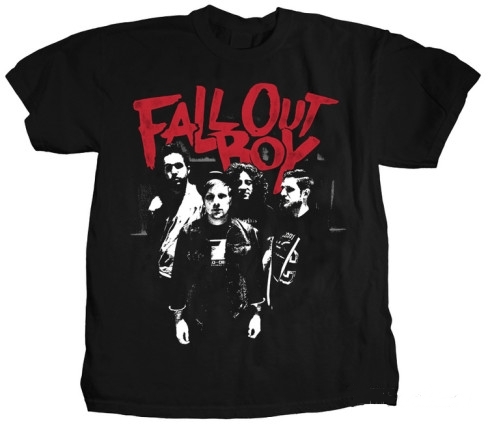 They are not a punk/pop band, though they admit to punk/pop roots. 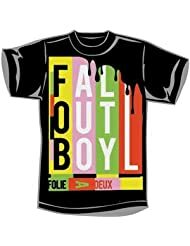 They are Fall Out Boy, a hard-driving rock band whose music reflects a wide spectrum of influences united in a style that's unique, bold and original. 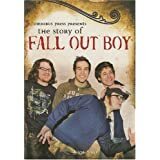 In mid-2005, Fall Out Boy released their major label debut, From Under the Cork Tree (buy album ). The album was a major commercial success, debuting at No. 9 on the Billboard 200. 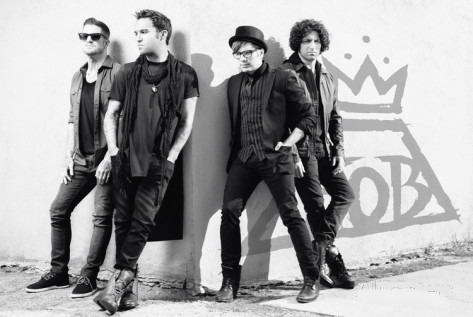 It was the band's first top 10 effort and first album to land on the Billboard 200. 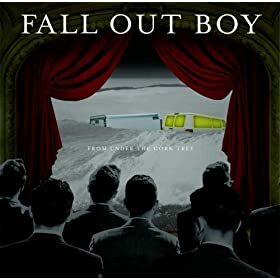 From Under the Cork Tree spent 19 weeks in the top 20 out of a total of 77 chart weeks. The album's lead single, "Sugar, We're Goin Down" peaked at No. 8 on the Billboard Hot 100 and spent five weeks in the top 10. The track received heavy airplay at Pop and Alternative stations, and its MTV2 award-winning video enjoyed heavy rotation on TV music programs. In the UK, it also reached No. 8, and spent 21 weeks in the top 75. "Sugar, We're Goin Down" has sold over two million copies in the US and was certified Double Platinum by the Recording Industry Association of America , becoming the band's best-selling single to date.